I originally made the paper planes that I exhibited during the Liverpool Independents Biennial, for DWF: http://dwf.uk.com/ . This was an event that was going to happen last summer, but for various reasons was held back until March this year. 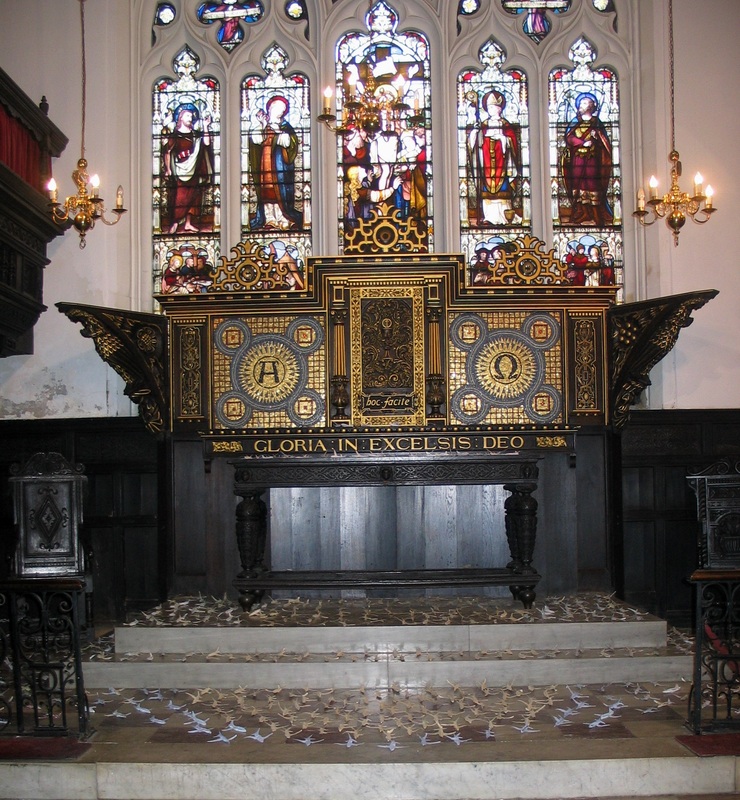 I was told that ‘my’ venue was to be St John the Evangelist – a redundant church in New Briggate, Leeds : http://en.wikipedia.org/wiki/St_John_the_Evangelist%27s_Church,_Leeds Since the originally showing of the planes in Liverpool, I’d added about a 100 more – all made from the ACE application form. ( ACE supported my trip to Stockholm last year) The other planes were made from books and maps, as before. 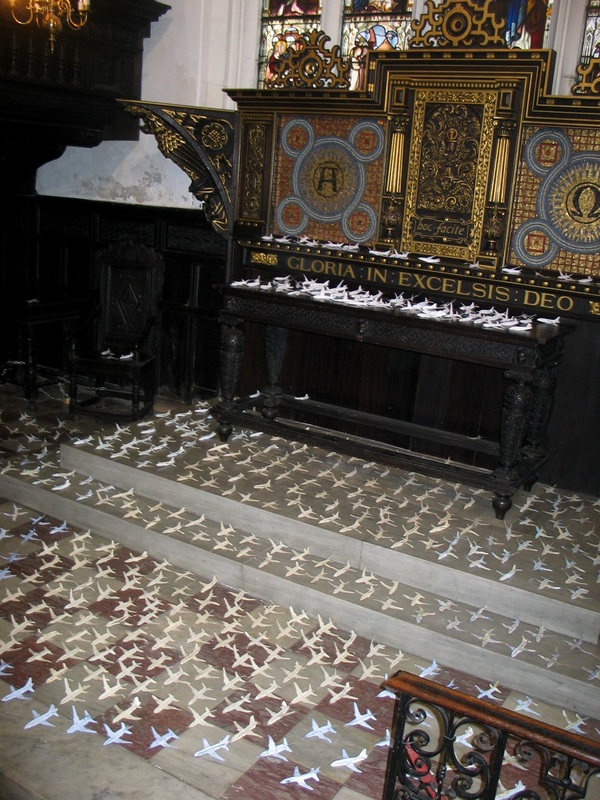 This entry was posted in Paper Art Installation and tagged Art in Churches, Paper Installation, Paper Planes, St John the Evangelist Church Leeds by wendy8williams. Bookmark the permalink.